If you want to keep your cat healthy and happy, you have to choose a cat food that comes in a flavor and style your cat can adore! Can Purina One cat food help with this? In our Purina One cat food review, we go over the important features of this food and how it can impact the health of your cat. At the end of this review, you should be in a better position to decide if this food is for your cat (or not)! Is Purina Cat Food Healthy? 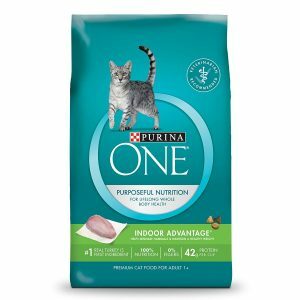 Purina One was actually the first to bring cat food containing real protein as the number one ingredient to mass retail and grocery stores in the late 1980’s. They have a team of 400+ pet lovers to bring together research and cat’s nutritional needs to formulate a premium cat food. Like other quality brands, the manufacturer of Purina Cat Food is wise enough to exclude artificial preservatives and cheap fillers from this recipe. 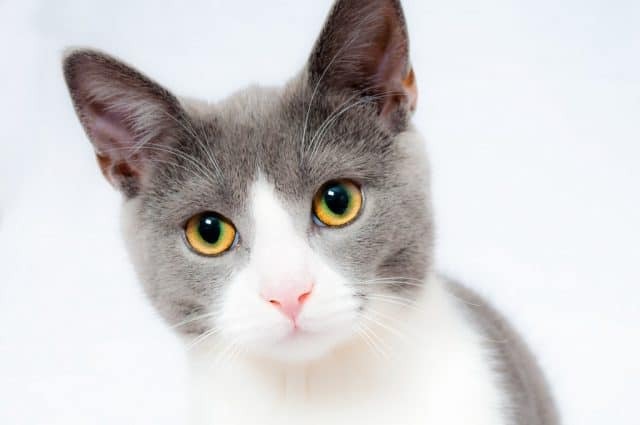 Meaning your cat is going to get only the essential components that include protein, Taurine, vitamins, minerals, enzymes, omega fatty acids and a little water content. Born with a natural energy cycle, cats are wired to play, eat and then rest. To fuel the metabolic cycle they were born to have, Purina One cat food optimizes your cat’s health at every stage of life. With Purina One and the right amount of indoor activity, you can turn feeding into a true nature’s experience. When buying food for their cats, the greatest concern of pet owners is the ingredient used in making their pet’s recipe. This is not surprising as it’s what their cat needs first if they want to keep her healthy and strong. One thing that can help your cat maintain healthy, strong muscles is to feed her real protein: chicken, poultry, salmon, etc. With the Purina Cat Food, your feline will enjoy a tasty food that will keep her active and strong. Unlike many other recipes, this cat food has Turkey as the featured ingredient and many pet owners have noted it having a better taste appeal than other kitty food recipes. This kitty food has 42 grams of protein per cup and costs $10 less than what you’ll find in pet food stores. If you have a cat that despises chicken (or has food allergies) – whether it’s used as the first ingredient or as a by-product – this might be ideal for your cat, nutrition-wise. Aside from the protein content, the food also contains vitamins and minerals, which are necessary for stronger bones and lean muscles. And since it is highly digestible, Purina One allows more nutrition to go straight into your cat’s stomach thereby helping metabolism. The food also contains Omega-6 fatty acids which are responsible for a healthy skin and luxurious coat. Each cup of Purina One comes with 42 grams of protein to help meet your kitty’s cravings while supporting lean muscles. The recipe comes in two types, one with a crunchy texture and the other a smoother, wet texture so your cat can get all the required nutrients in nice flavors depending on his or her needs (i.e. sensitive teeth, water intake, etc.). 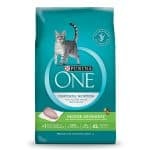 Considering all this plus the decent price, Purina One is an overall quality economical cat food. On the other hand, the rest of the ingredients, which include corn gluten meal, poultry by-product, soybean, animal liver flavor, etc., are not ideal for your cat. They are of okay quality with 0% fillers. We say “okay” because soy and corn gluten meal don’t really have any nutritional value for cats. But cat food with completely no soy, wheat, corn (grain-free) comes at a higher price (the quality is superior too). If you want to learn more, here’s an example: Just compare the ingredients label between the medium-priced Purina One and the more expensive Purina Beyond Grain-Free. The difference is clear! 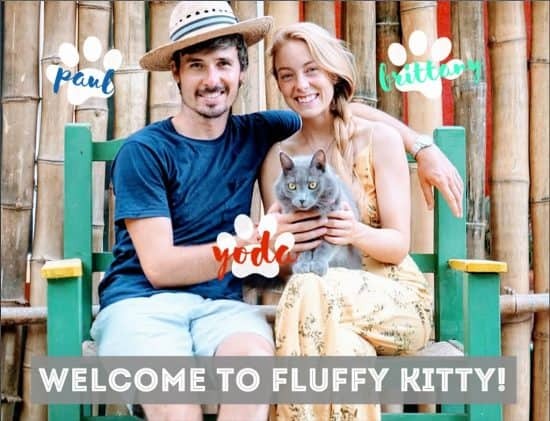 Luckily, the majority of ingredients in Purina One cat food are both nutritious and provide a tasty flavor for your cat which is evidenced by many pet owners reporting their cats takes well to the food. If we are on a strict budget for a month or are in a country where choice is limited, we usually go with Purina One. But, when we have the funds and the availability, Yoda eats Blue Buffalo. Is Purina One Healthy for Cats? It doesn’t matter if you have adult cats, kittens or senior cats, you’ll find a suitable recipe for your cats in the Purina One line of products. Since this food provides 100% nutrition, you don’t need to add vitamins, minerals, and other supplements to maintain a healthy cat. Also, making a switch to Purina One is easy and won’t turn your cat into a finicky eater or obese as long as you follow the recommended procedure. If you find it difficult to choose between dry and wet food, you’re not alone. The fact that it’s difficult to tell from just shopping at the grocery store or your pet shop makes it particularly daunting for those who want the best for their feline friend. However, when you consider the pros and cons of each, it becomes easier which one will better serve your needs. Many people consider convenience to be the most important thing when feeding their cat, so they naturally go for dry food. Another reason some people choose dry food over wet food is that it smells better and has a longer shelf life. While you may be pressed to use a can of wet food in a short period of time, you don’t have to worry too much about dry food going to waste. Another good thing about dry food is that you can use your cat puzzle toys with them! When you put the dry food into the puzzle toys, you cat will have to work around the toys to get the food. This is a great way of keeping your cat in good digestive health. However, many veterinarians prefer wet food over dry food because of the many health benefits it offers. 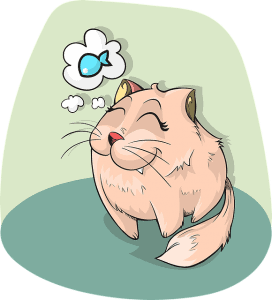 Water retention is perhaps one of the biggest reasons why wet food is more beneficial than dry cat food. 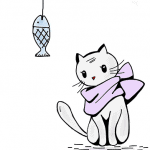 Dehydration in cats can double when only given dry food. And because wet foods are easier to digest, they are generally good for your cat’s kidney and urinary tract health. Choosing the right food for your feline friend can sometimes be tricky. But if you know what you are looking for, you shouldn’t sweat to arrive at a suitable food! Did you enjoy our Purina One cat food review? We hope to have covered the essential information you need to know to help you make an informed decision. By now, you should be able to decide if this food is right for your cat or not. 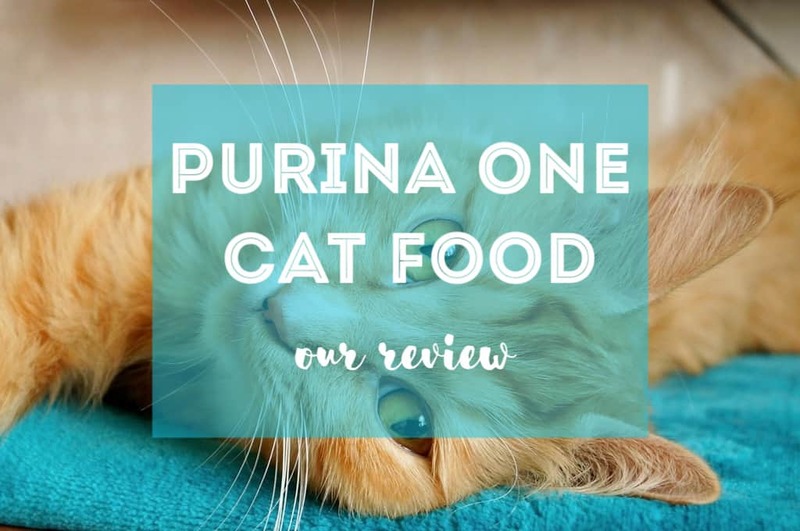 You can read more Purina One cat food reviews on the product page here!